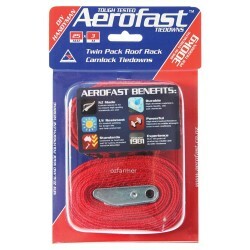 Pack of 2 x 2 metre long, 37mm webbing camlock tie-downs with ultra safe karabina end hooks and special built in soft loop extension ends for looping over handle bars. 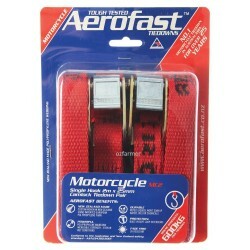 These tie-downs have been specially developed for motorcycle use. 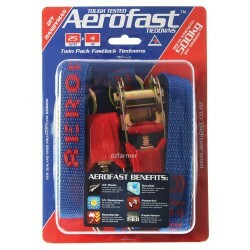 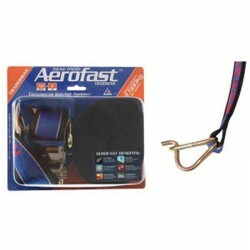 Each strap is rated to 700kg break strength.